We are really excited to hear that your child (ren) will be joining us in September. 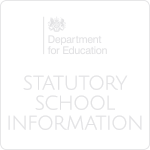 To help make sure you have all the information you need to help make the transition from primary to secondary as smooth as possible, we’ve created this page which provides quick links to essential documents as well as some key dates. Take a look at the information provided here and browse our website but if you do have any further questions, please do not hesitate to contact our School Manager, Mrs Jo Braithwaite on 01636 957690. Our first event for new starters will be our Spring Welcome Event on Saturday 18 May 2019. At this event, you’ll have a chance to meet some of our staff, speak to students and hear from the Headteacher. You’ll also receive your Welcome Pack which includes the Parent Handbook, information about uniform and the Essential Information Forms that we’ll need you to complete before term starts. The Spring Welcome Event will be followed up with an induction evening on Thursday 4 July where students will have a chance to experience lessons, find out which House they are in and get to know some of their peers. There will also be a final chance to get your child measured up for their uniform – and don’t forget, all new students for 2019-20 will receive a free uniform pack which includes our blazer, tie and PE Kit. For further information, click the link below. Term starts on Monday 2 September 2019 for Year 7 students. The rest of the school will start on Wednesday 4 September. This means that all new Year 7s will have two orientation days in school led by their Form Tutors and our Senior Students. Choosing the right school for your child’s secondary education is a very important decision. Therefore, we encourage you to visit The Suthers School so that you can experience the difference for yourself. 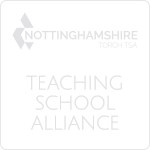 As you will no doubt be aware, between now and April 2020, we are housed in temporary accommodation on the Toot Hill School site in Bingham. We would be happy to arrange for you and your child to have a tour of our temporary home at any time. If you would like to visit, please get in touch via contact@suthersschool.co.uk or call our admin team on 01636 957690. As we look forward to the completion of our brand-new, purpose-built facility in Fernwood, Newark, there will also be a number of events taking place in Newark. 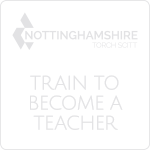 To make sure you don’t miss out and to keep up to date with all things Suthers, please register your interest here. Download our Catchment Area map in PDF format.